3. 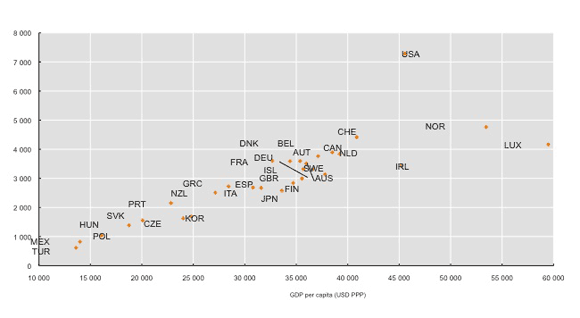 Health care and government debt. 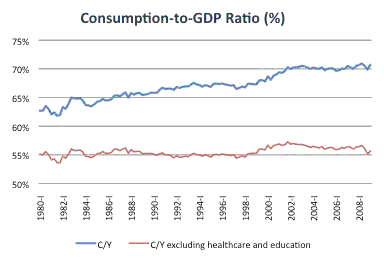 The projections for US government debt is that it will explode to a level of about 300% of GDP in the coming decades (assuming no change in policy). The biggest source of this explosion is health care costs. 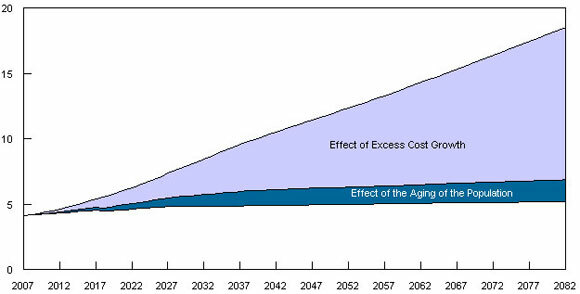 Yes, there are some other costs associated to aging (more need for healthcare and pension) but most of the increases in government spending comes from the assumption that health care costs will keep growing faster than GDP, as reflected in the chart below – where the units are % of GDP (Source: CBO).